The best shoe on the market. 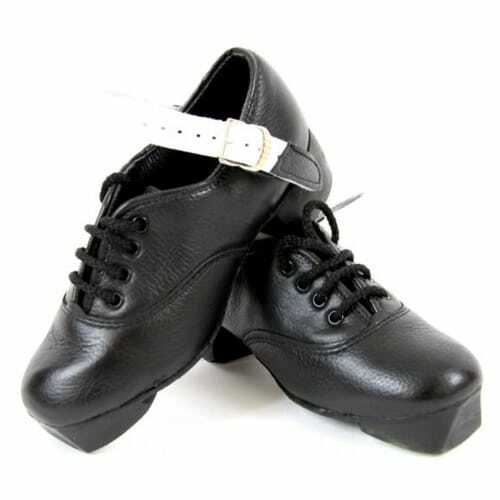 Worn by virtually all of the current World and All Ireland Champion dancers. Now available in narrow fitting. The Flexi Pro is essentially a heavy shoe but with untold flexibility. Years of experience led us to develop the first flexible shoe on the market. Wearing Flexi Pro means no blisters and virtually no breaking in time. They come complete with the thunder tip and the Atlantic Bróg heels. 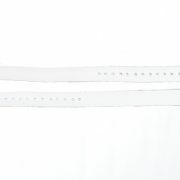 They also have the white Atlantic Bróg shaped strap, which can be changed for boys or festival dancers if needed. These are without doubt the best shoes on the market so far. 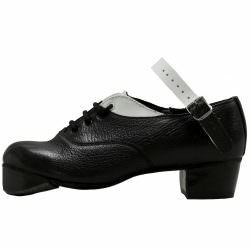 Although we would always suggest you get used to a pair of shoes, dancers have worn them straight from the box to the stage. Due to their flexibility, we expect durability to be slightly less than normal heavy shoes. It’s impossible to put a time span on the life of the shoe, but we would recommend changing after 12 months whether or not the shoes are still fitting. 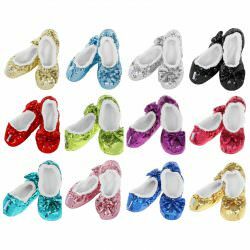 We recommend you order a half size down from your normal shoe size, possibly a full size if you want them tight. The tighter you fit them, the more chance of them stretching out the back and over the heel. Although, we have strengthened the heel with a pop out material to guard against this as much as possible.